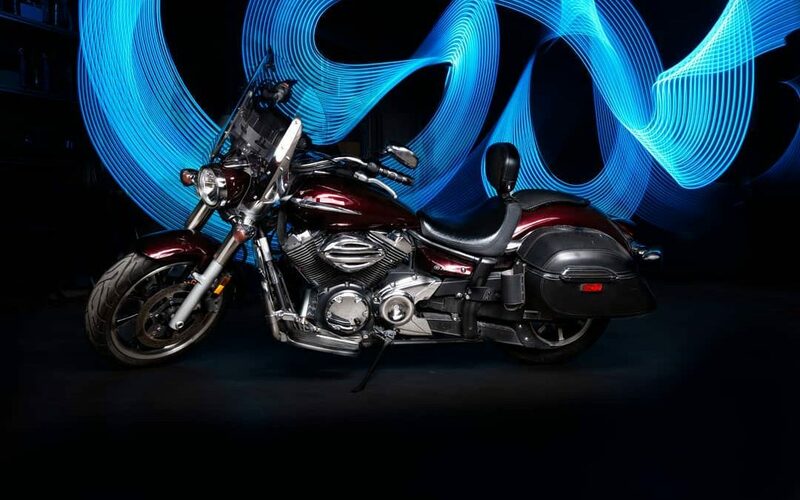 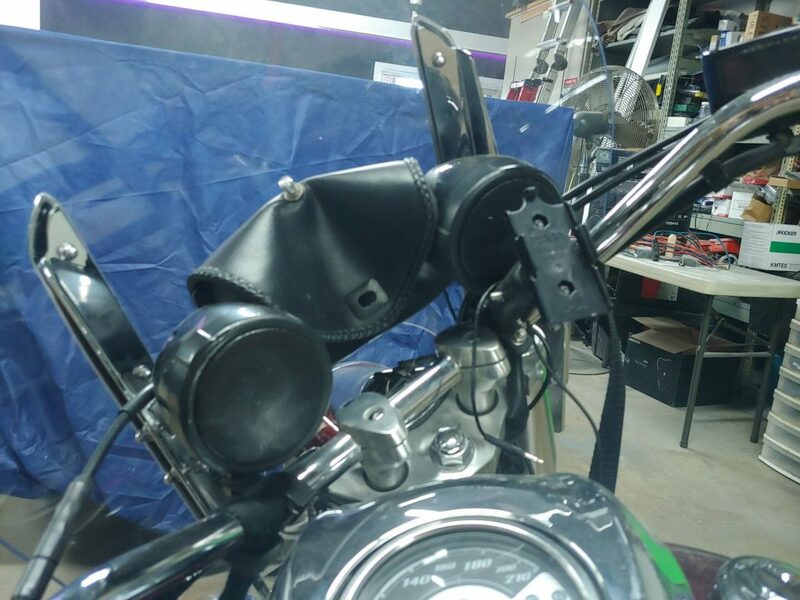 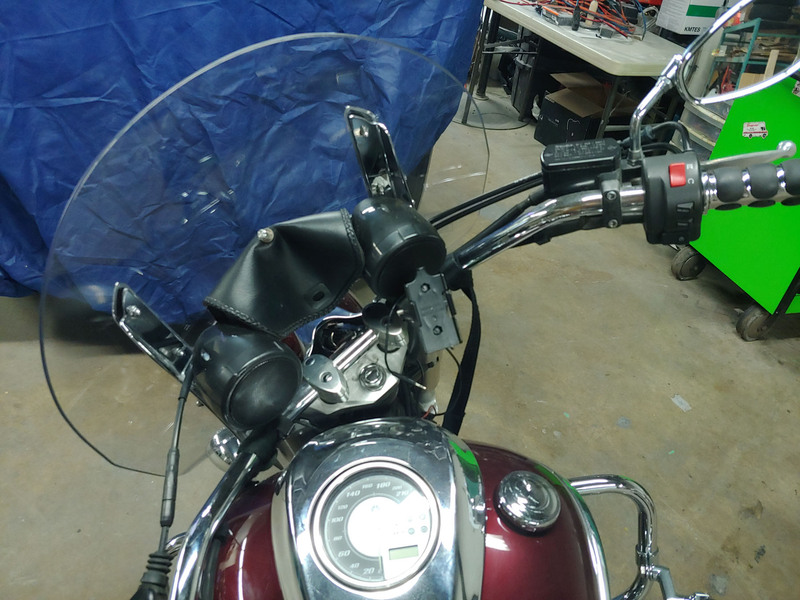 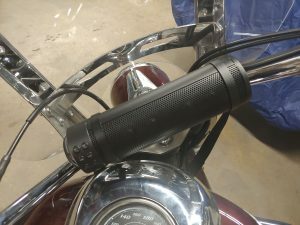 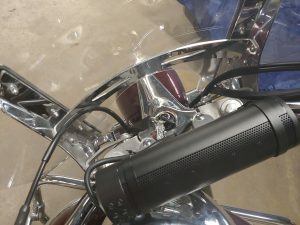 This Yamaha V Star has no OEM audio system. It came to our shop with some weird speakers on the handle bar. 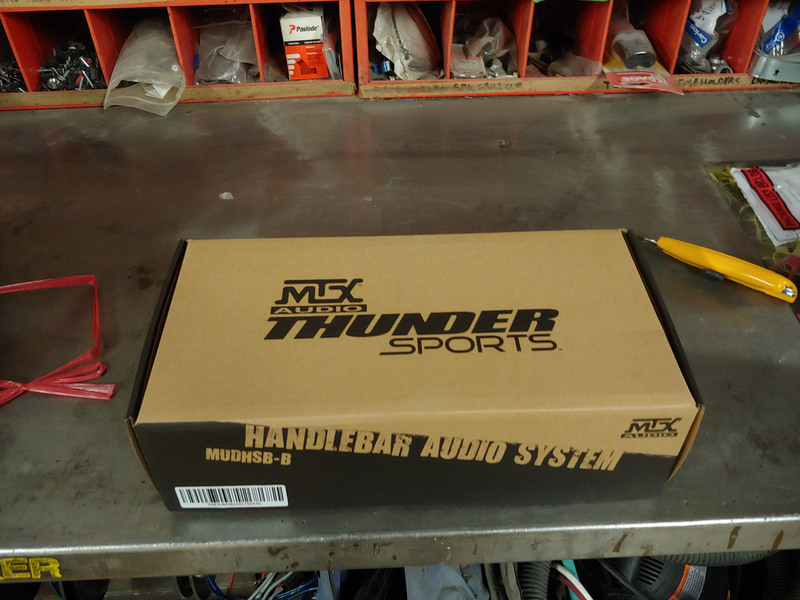 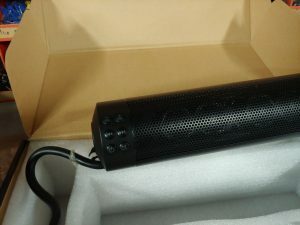 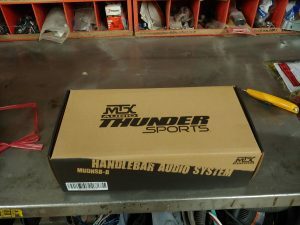 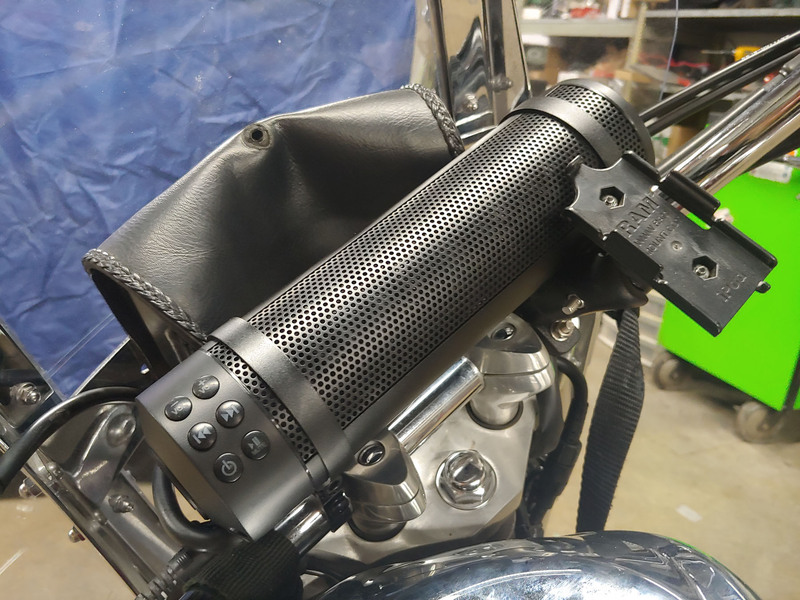 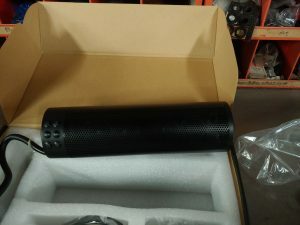 So if your bike doesn’t have any OEM system we can recommend this sound bar. 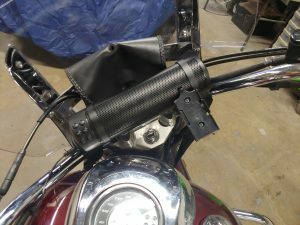 Also, you can get two of them and connect them together!